Why should there be judgment on deeds that are good just as there is judgment for evil deeds? The answer given by Rabbi Yannai is that there can be a combination of good and evil in the same deed and G-d shall discern the evil that overshadows the apparent good. The example he offers is that of one giving charity to a poor man in public and thus causing him great embarrassment. Rabbi Yannai once witnessed a man giving charity to a poor man in public and reprimanded him by declaring that it would have been preferable for him to not have given him charity and thus avoided embarrassing him. Maharsha raises an interesting point. The rule is that when there is a clash between the fulfillment of a positive command and transgressing a prohibition, the positive command has priority. Since giving charity is a positive command, should it not therefore override the prohibition of simultaneously embarrassing another? His simple answer is that this rule applies only when there is no way to fulfill the positive command without transgressing the prohibition. 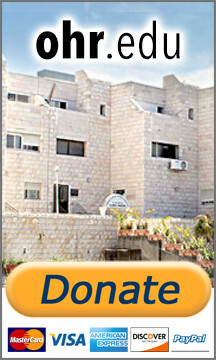 In Rabbi Yannai's case the charity could have been given discreetly to avoid embarrassment. "Said G-d to Israel, 'You made Me a distinctive entity in the world in your declaration of Shema Yisrael and I will make you a distinctive entity in the world in My declaration that 'Who is like Your people Israel, one nation in the world’."